Self Sufficient | Wild Cookery! Posted on January 12, 2014 by Wild Cookery! Gerard talks about moving camp and he spends his last night (Day 3) at his old campsite. Again, he talks about how hungry and weak he is. The whole time he’s surrounded by edible plants that he just walks by as his stomach growls. This is why I’ve always tried to help people learn about edible plants. There’s no reason to go hungry with food all around you. The first mistake he made was not taking an ember encrusted log with him from his previous fire. Especially if it was raining. One thing primitive man learned early on… ALWAYS take your fire with you, especially if you aren’t very good at re-creating said fire. Hey, he got a chipmunk with a rock and then stabbed it with his fishing spear. Good going Gerard! I bet that little vermin was the best meal he’s ever had after what he’s been through. At about 2:50 in, watching him try to skin and clean the chipmunk is interesting. Especially since he says he’s never cleaned an animal before. (And, is thus, starting at the wrong end.) 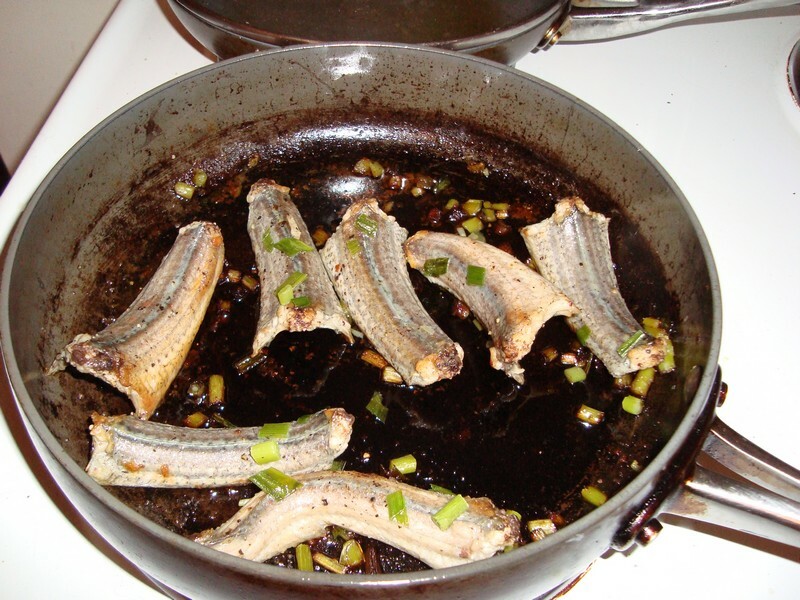 Most small game can be skinned the same way, and quartered if necessary on larger things such as rabbits. I’ve never eaten and skinned a chipmunk, but it’s likely no different than a mini-squirrel without the big fluffy tail, cleaning-wise. It’s kind of funny. Day 1, he said he wasn’t hungry enough to eat a frog. Day two, the frog was delicious. 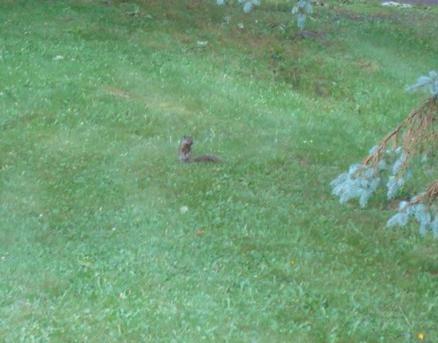 Day 4, that chipmunk was probably equivalent to Fillet Mignon. Not a bad job catching a few crayfish. Though I have no idea why he didn’t eat the claws. Also the ‘innards’ that he was all like ‘eww’ about, could have been cooked in the can to make a broth, which would have been very sustaining. From his ‘feeling lazy’ last night and not making the fire larger, it went out from the rain. And… he lost his firestarter. Double ‘doh’. Then he lost his fishhook, and is pretty much tossing in the towel. Gerard is talking about walking Southwest and thinking that he just might be lost. So he goes home after 8 days, utterly defeated. I would have hoped that he would have learned something, and would have used that as an impetus to shore up his shortcomings in his outdoor knowledge. So that if he was ever put in that kind of situation again (against his will, that is.) that he’d be infinitely better prepared. As it is, it sounds like he’s scarred for life and probably won’t even go camping ever again. And that’s just a sad thing. Again, thanks to Gerard for sharing his adventures and Bucky for posting them. Posted on January 11, 2014 by Wild Cookery! Two buddies, Gerard and Bucky were sitting around watching survival videos, and Bucky bet Gerard $100 a day for each day that Gerard could stay out in the wilderness. I have also included a link to each video. They can be hard to find since Youtube altered the way videos are displayed in that the next video in the series is not always listed in the recommended list. Please note I’m not bashing the survival skills of this fellow, or the lack thereof. (Mostly…) I’m commenting so that other folks can see where opportunities were missed, and so if they find themselves in the woods, they don’t miss those same opportunities. There’s nothing like starving and having no idea that you just walked past six meals worth of food due to your ignorance. I thank Gerard and Bucky for having the guts to post these vids so that people can see what someone’s ‘first time’ out in the wilderness really is like. Everyone thinks its so easy to just walk out into the woods and survive. Reality is somewhat a bit different. Thanks to my pals Aktrekker and SlowRide13 on the Green Deane forums for the links to the first and second videos. This is just the prelude and driving to the wilderness. Here Gerard makes his first little camp area. At 1:20 in the guy starts hacking at the greenery that isn’t even knee high with his machete. And I’m thinking… what the heck was that for? Dramatic effect? Seen one too many jungle movies? I think that was purely for dramatic effect. No machete action was needed to walk through those weeds, and just wastes precious energy and calories swinging that thing for nothing. The shelter isn’t exactly shelter from anything. It won’t keep out either the rain or the animals. I think I built a more solid shelter when I was 8. 😉 However, something is better than nothing, even if it’s only to have a psychological ‘cave-like’ place to sleep. OMG. 2:20 into video 3. The guy starts hacking into a full grown live tree. Why? To make a record of his time there. Very few things irk me enough to make me want to thunk someone, but if I’d seen this done in person, the guy would be keeping his teeth in his pockets. That’s right up there with idiots who carve their initials in trees and write ‘Dumbazz was here’ on ancient monuments. He has a machete. He could have split a small dead log in twain, then used the flat surface to etch his little ‘record’. Idiot. I realize that’s negative and highly judgmental on my part, but I can’t imagine anyone really thinking that doing what he did to that tree was OK, or a good idea. Please don’t EVER do this to a live tree for no reason. At 2:30 in, he epically fails at starting a fire. Humorously so. My favorite part so far is the end of vid 3 where in typical American childish impatience, he kicks his fire pile of what looks to be bone dry leaves because the wind keeps blowing around his magnesium. Dude, your 21 years are showing. Big time. But I do agree that it’s very good for folks to watch this series. Especially folks who seem to think that the uninitiated will just waltz into the woods and start living out there like it’s no big thing. And they can’t even start a fire. This is just a short little commentary by Gerard recapping the day’s events. When starting a fire with a flint, he should have been much closer to the material he was trying to light on fire. He’s basically ‘going out to bat’ with the firestarter here, and then wondering why nothing is catching. Also, with those leaves being as dry as they are, he certainly shouldn’t need the magnesium to start the fire. Most of my commentary focuses on around 3:00 into the video. 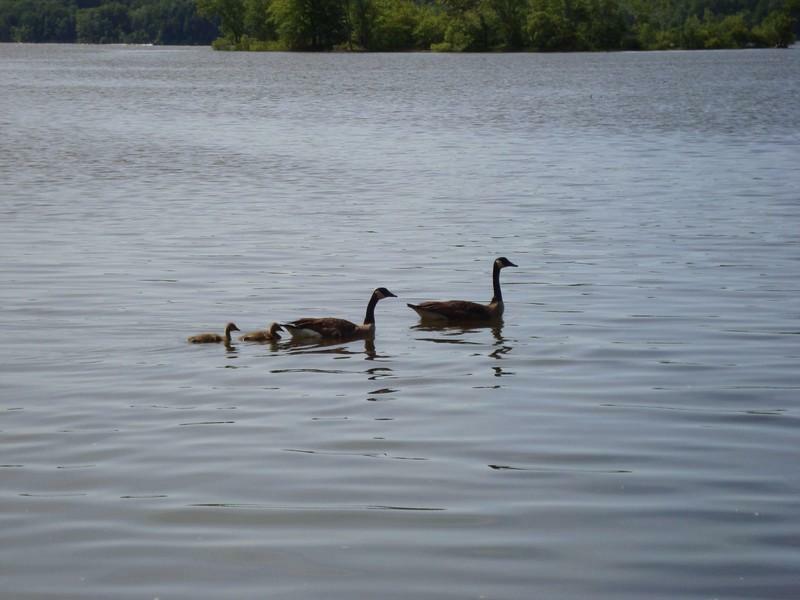 First off the water. He just drank this straight from the stream. I hope he didn’t get crypto-whatever. he should have skipped the machete and brought a portable water filter for backpackers and hikers. I have two. One has a viral-guard filter. Never leave home without it. At the very least, get one of those ‘life-straw’ things. Thirdly, he’s walking by tons of cattails. Obviously he has no idea they’re edible. You don’t even need to get down to the roots for a quick snack. Just pull the shoot and peel and nom the bottom few inches. I do this when walking in swampy areas all the time. Om nom nom. Fourth. He found a patch of ox-eye daisies. He has one behind his ear. Cute. But he should have collected the greens. Young ox-eye daisy greens are, in my opinion, a superior nommable. I eat them straight and raw. The older they are, the more ‘perfumy’ they get though. You can also eat the white petals of the flowers. I wouldn’t eat too many of the yellow centers though. They can give some folks an upset stomach. But a few out of hand shouldn’t cause any issues in any but the most sensitive of folks. So here he is attempting to start a fire, for what, the fourth time? No fire ring, just trying to light a pile of leaves, connected to all the rest of the leaves, connected to the rest of the forest. I don’t think I need to point out how utterly stupid this is. If you have no rocks, make a fire ring by clearing the leaves away in several feet from your fire, and scratch and disturb the dirt at the very least in a circle around where your fire will be. This will keep the fire from creeping out. If you have the means, make a fire ring using dirt and/or rocks to contain the fire. After all that scraping the fire flint I kind of felt embarrassed for the guy. He should have accidentally caught it on fire by then with all those sparks flying around. At about 2:25 in, he gets lucky and accidentally catches part of the forest on fire. 😉 A stray spark, not even where he was aiming, caught a leaf on fire. I wonder what this guy would have done if it was raining. Gerard talks about being a bit weak from lack of food. He had no lack of food, simply a lack of knowledge about food. Food was everywhere around him. I don’t know if anyone later pointed out to him the cattails he walked past. (The easiest parts to collect in his situation would have been the bottom few inches of the shoots can be peeled and eaten raw, and the roots can be roasted and peeled and then stripped with your teeth for their starch.) Or if anyone mentioned the ox eye daisy greens he passed up. (The flower he had in his hair.) I can guarantee that anyone even passingly familiar with wild plants could fill a basket in very short order if they know what to look for. There was no reason whatsoever for him to be hungry with that bounty around him. The last I checked he had something like 143 foraging videos all available for viewing free online. Do not EVER, and I do mean EVER do this! This is how you end up being those few people a year who die by eating random unidentified wild plants. This guy spends an awful lot of time and energy staging ‘walking out’ and ‘walking towards’ shots with his camera. Shelter isn’t an issue in the middle of the summer and his old campsite didn’t provide any shelter anyway. You can also build a little dam (or two) in a creek and corral the small fish between your dams. And when they can’t get out, you have all the time in the world to figure out how to catch them. Posted on October 5, 2013 by Wild Cookery! Well it’s creeping into fall once again. That lovely time of year following summer, where all kinds of harvest fruits are usually available for preservation and nomming. To that end, there is a bumper crop on my quince tree this year. This would usually be cause for celebration here, as we pick, clean, slice, and freeze the fruit for use over the winter. The problem is that the weather has been very odd all year. Whilst this has resulted in beautiful fruit up until now, it’s now hot when it should be cold. It’s 83 degrees and very wet today, and will also be thus tomorrow. In October. 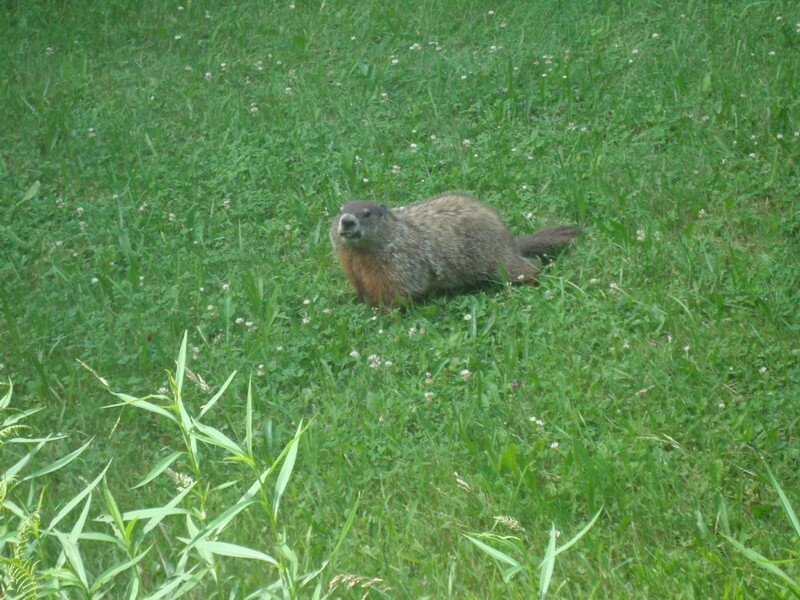 In Pennsylvania. Because quince is a fall weather harvest fruit. The week plus of 80 degrees and extremely wet has meant that the ground is too soft to safely plant a ladder to harvest the fruit, and said fruit is rotting on the tree from the heat instead of being all nice and preserved as it should be by cooler temps. The first week of October is usually the first time I pick any fruit from this tree. I’ve had tons of fruit drop on their own over the last two weeks. And it’s ripening unevenly. One side will be shock green and the other side will be literally rotten. Not cool. Literally. The next semi dry day here is forecast to be four days from now. At that time I’ll be harvesting all I can. They have to be hand picked. If they fall the impact bruises them very easily and ruins wherever it impacts. The warm weather has also put the kabosh on fall mushrooms thus far. I’ve only found a half dozen mushrooms the past month. The only things that have been coming up have been either unknown or toxic varietals. No boletus. Well, there was ONE stray slippery pine boletus, but it was so bug eaten by the time I found it that I didn’t bother. Slippery pine boletus usually require shade of some kind to come up in any kind of proliferation, and it’s typically in the form of leaves that fall from other trees. When the leaves from the neighboring maple falls on the area of the roots of the scotch pine, is when these things will be popping up en masse. But the leaves haven’t fallen yet. The warmer temps mean that all the trees in my yard (save the barren walnut tree that got the clue early as usual…), haven’t dropped very many leaves at all yet. Two of my maples are still 100% green! The one closest to the house, the oldest one, has gotten the hint and the leaves are starting to slowly turn yellow. So what’s it like in your neck of the woods, and has the weather been good or horrible for your local foraging preferences? Posted on June 26, 2013 by Wild Cookery! Today I figured I’d share a collection of just a few things that have decided to make my yard and surrounding area ‘home’. First up we have a ‘hare’ raising photo. There are a bunch of these around. I’ve identified at least four separate individuals. The largest of which will likely be in the stew pot come fall. 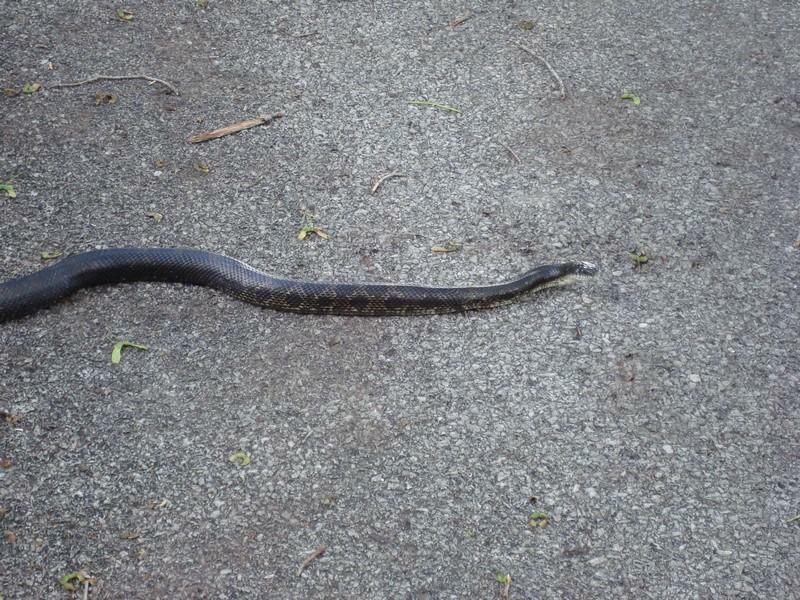 Next up we have a slither. 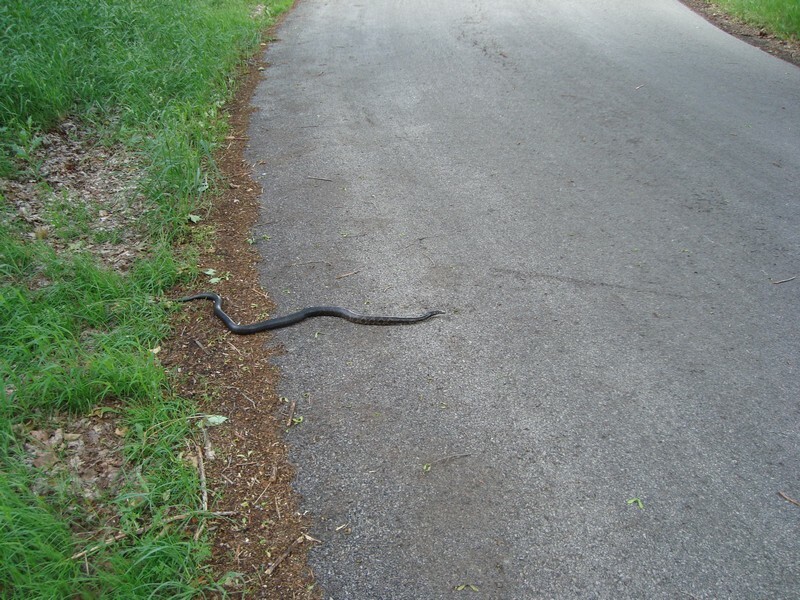 Why did the slither cross the road? To end up battered and fried! 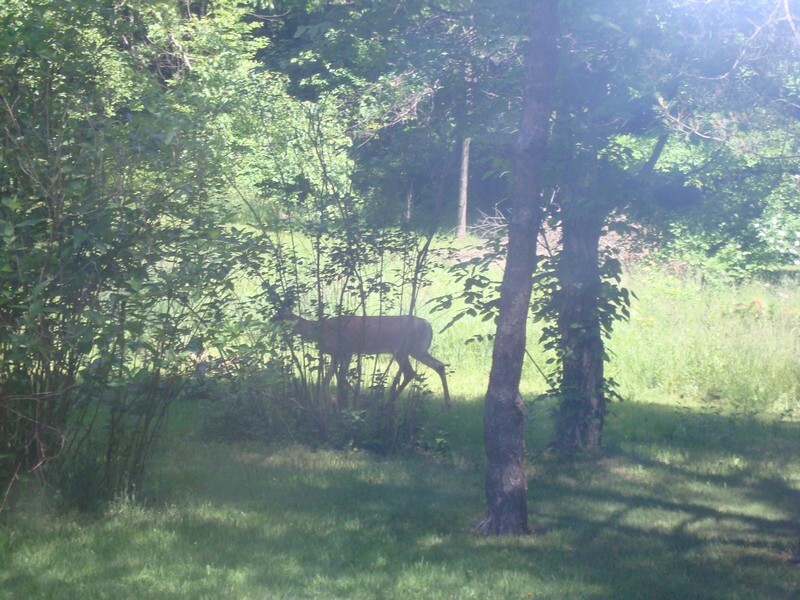 They are always welcome on my property. Get fat, eat well, and come winter time they are a resource if I need them, right outside my back door. These however, were on the menu, and were taken from the same waters. (Yes, legally, proper licenses and all.) And they fried up lovely. 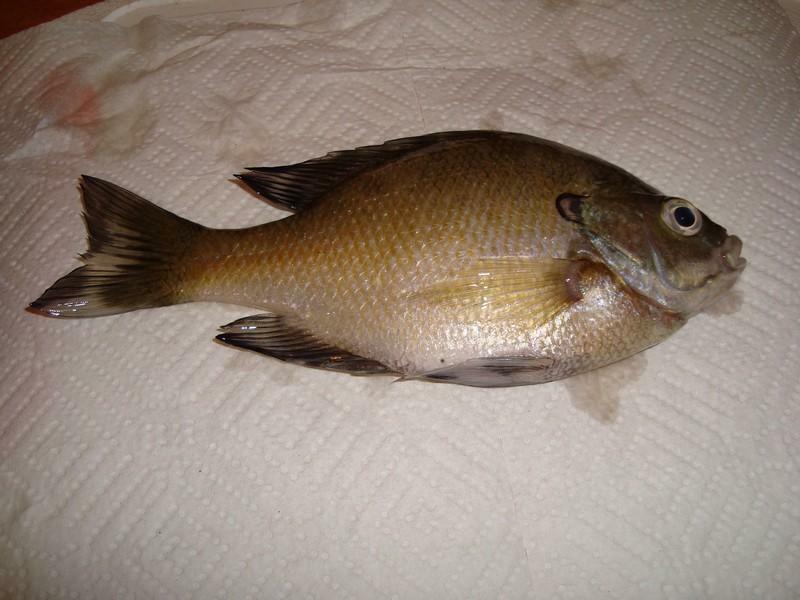 First is a Bluegill (Lepomis macrochirus), and below is a Black Crappie (Pomoxis nigromaculatum). 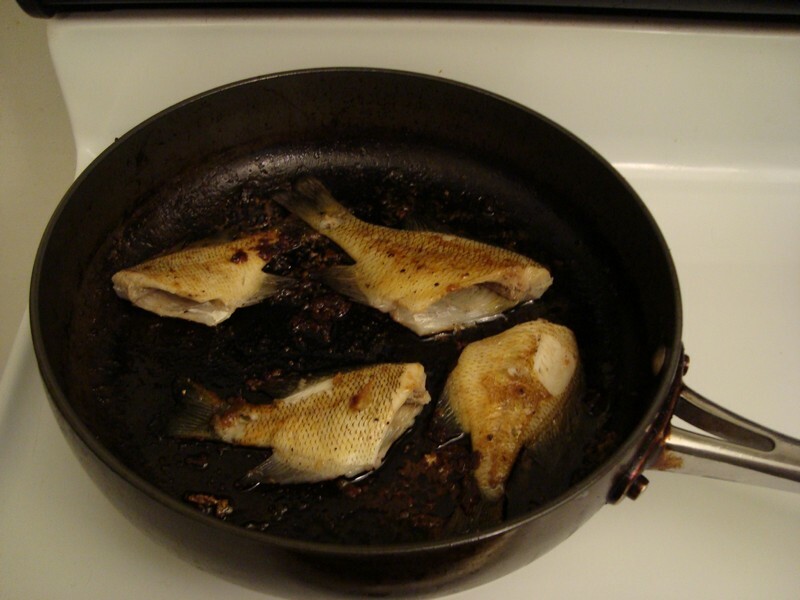 Most people are confused as to what a Black Crappie is. A Black Crappie will have black SPOTS . 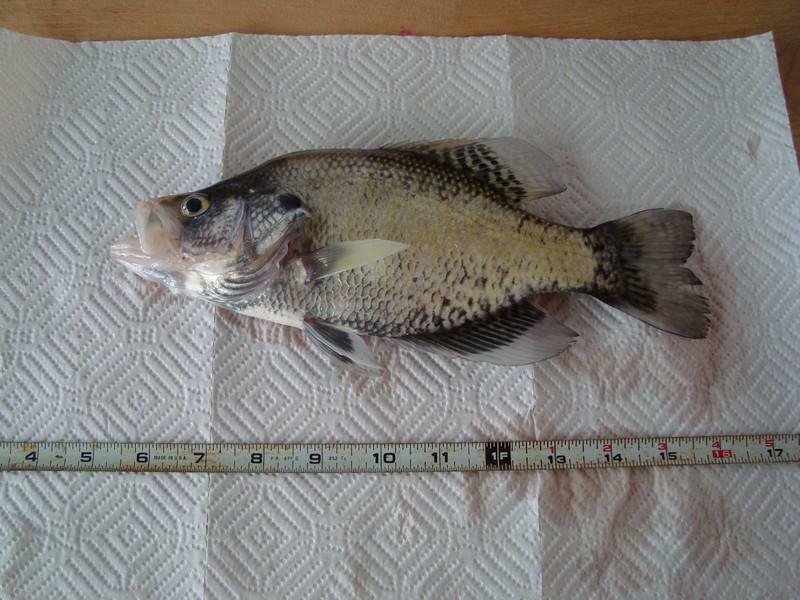 A White Crappie (Pomoxis annularis) has stripes, or ‘bars’. 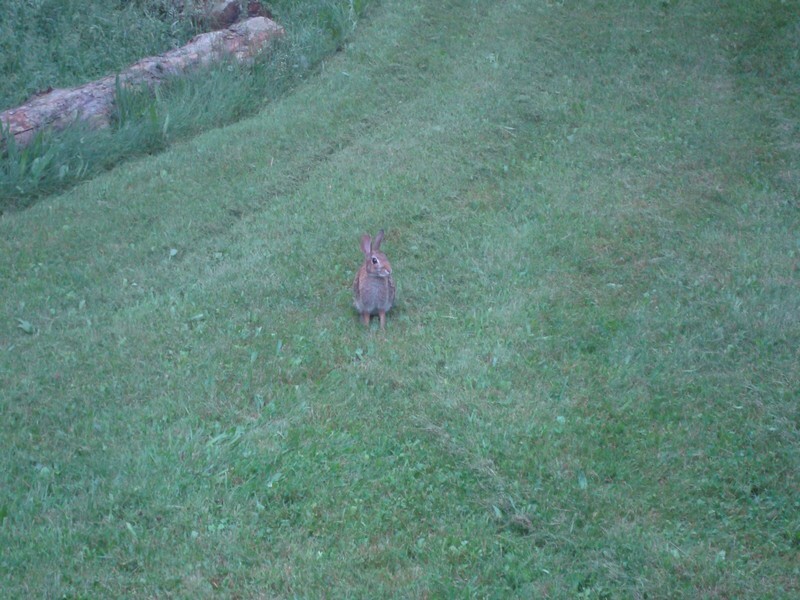 UPDATE: I finally got one to sit still for half a millisecond! 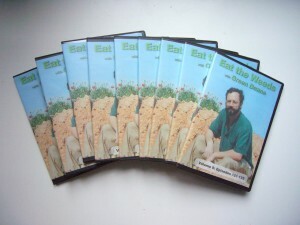 Eat the Weeds videos now available on DVD! Posted on June 24, 2013 by Wild Cookery! After a long struggle and many hurdles, the world’s most watched foraging videos are now available on DVD! Current pricing is very affordable at $1 per episode, with 15 episodes per DVD, shipping included. You can’t beat that deal with a stick! Ever wonder what happens to all those cavalier folks who think that nature is just another harmless and safe grocery store? This Special Edition of the Forage! 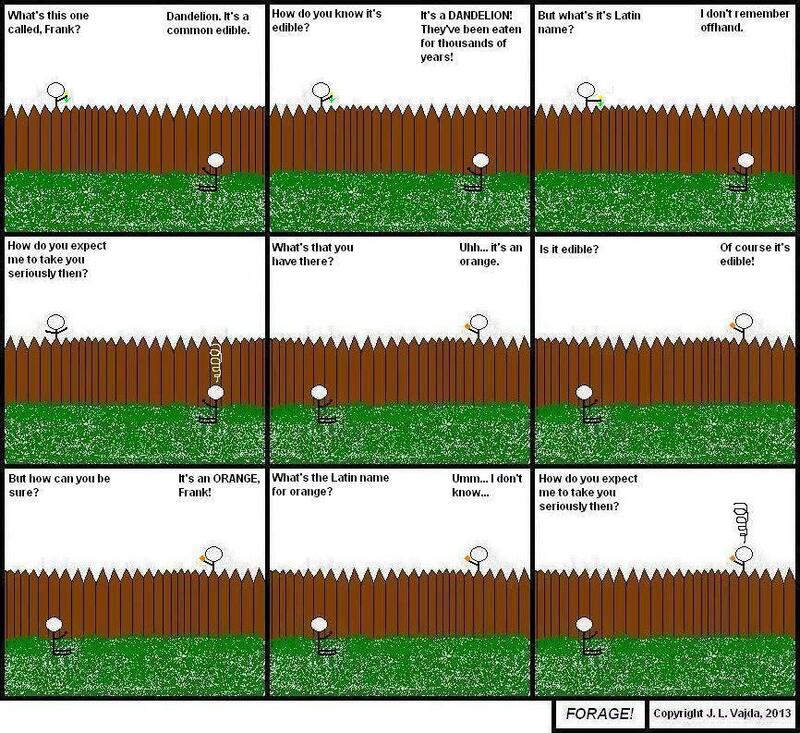 comic strip is in honor of someone who’s given back tremendously to the foraging community through his tireless work, incredible foraging videos, and hands on effort. Through his passion for many of our favorite hobby, he has taught and touched many people’s lives. Some through his foraging classes, which he still offers, and some through his incredible videos.